Thursday April 4, 2019-President Uhuru Kenyatta is scared and does not want the Opposition to go through with the impeachment motion against his Deputy William Ruto. 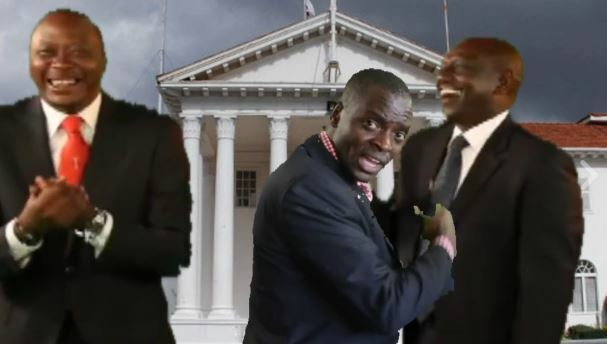 This was revealed by Political analyst Ambrose Weda, who laughed off the opposition's threat to impeach Deputy President William Ruto through a vote of no confidence. Speaking on Wednesday, Weda said that the attempt would face an even bigger hurdle in the name of President Uhuru Kenyatta, who is well aware that allowing his deputy to be impeachment would subject him to the same in the near future. "Uhuru will obviously oppose it under fear that he will be the next in line. Therefore, let these people stop thinking that they can easily impeach Ruto," he advised. Nonetheless, Weda, who is also a lawyer, noted that the process is a tough one, noting that the DP is not having any criminal charges hanging over his head. He added that Ruto remains clean as far as court convictions are concerned, which makes it almost impossible for those seeking his ouster to succeed. "Impeaching the DP is currently impossible. It would only be possible if he was convicted of wrongdoing. But now there is no reason to have him impeached," he said. "If we have been unable to impeach a governor whose impeachment requirements are far much below the DP's, then what makes them think they can impeach Ruto?" he posed.